These careers offer financial stability with salaries upwards of $130,000. There's no time better than now to get a job—or maybe even a new one—in the communications field. The Bureau of Labor Statistics projects 27,400 new jobs will be added by 2024 with interpreters leading job growth in the communications and media field at 29%. They're followed by video editing gigs (11%) and technical writers at 10%. Get this: Media and communications jobs also lead median annual salaries for all occupations at $52,370 compared to $35,540. And while these numbers look good, there are jobs with even greater earning potential. 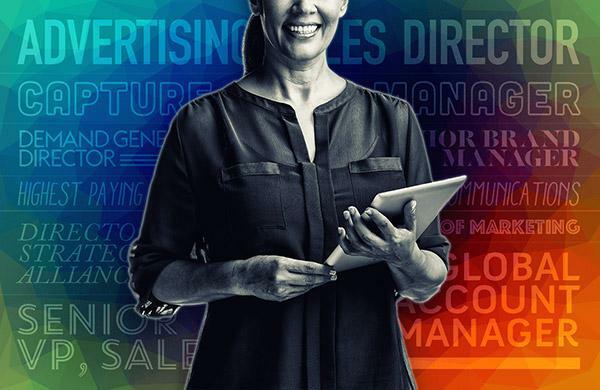 Monster partnered with compensation data and software firm PayScale to reveal the top-paying job titles in communications for workers with 10 or more years of experience. Are you thinking it's time for a new start? Cash in on these high-paying careers. Note: PayScale finds market research analysts and marketing specialists, market research and survey researchers, advertising, marketing, promotions, public relations, and sales managers and media and communication workers fall under the communications field via the ONET*SOC taxonomy.